Home » Graduate » Hire a UWM Ph.D.
Nicholas is a Ph.D. candidate specializing in persistent authoritarianism, comparative democratization, and political institutions. His dissertation investigates the role of authoritarian diffusion, through regime-level learning, on the persistence of authoritarian regimes. The project explores different methods of learning: neighbor emulation, learning from structurally similar regimes, and follow-the-leader applications. His work utilizes advanced quantitative methods, including a publication in the Journal of Race, Ethnicity, and Politics (with Paru Shah) and a paper on diffusion currently under review. Nicholas has taught several courses in the classroom and online, including Introduction to Politics, Introduction to International Relations, and Introduction to Comparative Politics. He enjoys teaching, and in 2012 was awarded the First Year Student Success Award for excellence in teaching. Sky is a Ph.D. candidate focusing on American political behavior, campaigns and elections, public opinion, and research methodology. His formal fields of coursework include American politics and public administration/public policy. In his dissertation, he analyzes several unexplored topics related to the relationship between religion and political behavior in the U.S. context. The specific empirical chapters focus on understanding how religion influences political develop and socialization, how changes in religion influence changes in politics over time, how religion interacts with personality characteristics to influence political attitudes, as well as understanding the political behavior of minority religious groups. During his doctoral work, he has focused on producing quality research, much of which is currently under review at peer-reviewed journals. He also has much experience teaching, including solo-teaching a large introductory course in American politics. Since 2012, Sky has also received the Advanced Opportunity Fellowship from the UWM Graduate School. Shawn is a Ph.D. candidate focusing on public policy acceptance, public opinion, political behavior, and survey methodology. His dissertation examines the question of why people might prefer one institution of government (courts, legislatures, executives) over another to handle certain issues. Employing a large survey, Shawn examines what factors might influence an individual’s preference(s) for a particular policymaking entity to handle certain issues or issue typologies. His research will be published in edited texts from the University of Michigan Press and Lynne Reinner Publishers, in early 2014. Tim is a Ph.D. candidate focusing on American Political Institutions and Behavior. His dissertation investigates gubernatorial appointments to the U.S. Senate to determine the influence of the appointment system on descriptive representation, legislative behavior, and Senate elections. His work is forthcoming in American Politics Research and Women and Elective Office: Past, Present, and Future (third edition). Michael is a Ph.D. candidate specializing in Political Economy and Corruption. His dissertation investigates the relationship between migrant remittances and corruption in the home state. The project pairs hierarchical linear modeling with case studies of Mexico and India to investigate whether migrant money aggravates or mitigates corruption back home. A paper based on his cross-national chapter is forthcoming in The Journal of Politics, and his work on Mexico was published in International Studies Quarterly. Other work appears in an edited text published by Stanford University Press. Michael has taught Introduction to International Relations at UWM since Fall 2012, and he is currently offering Introduction to International Economic Relations. 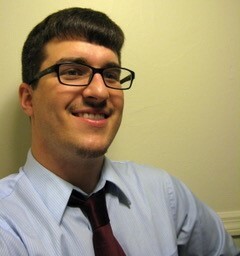 Zachary is a Ph.D. candidate studying judicial politics with emphasis on judicial decision making at the Supreme Court. His dissertation utilizes the Blackmun Paper’s archived pool memos to evaluate what groups and individuals provide information the justices need from the plethora of information the justices have when making decisions on cert. He currently has two papers under review at Law and Society Review and State and Local Government Review.